The very first Competition, then called “Pinerolo Città della Cavalleria”, took place in 1994. 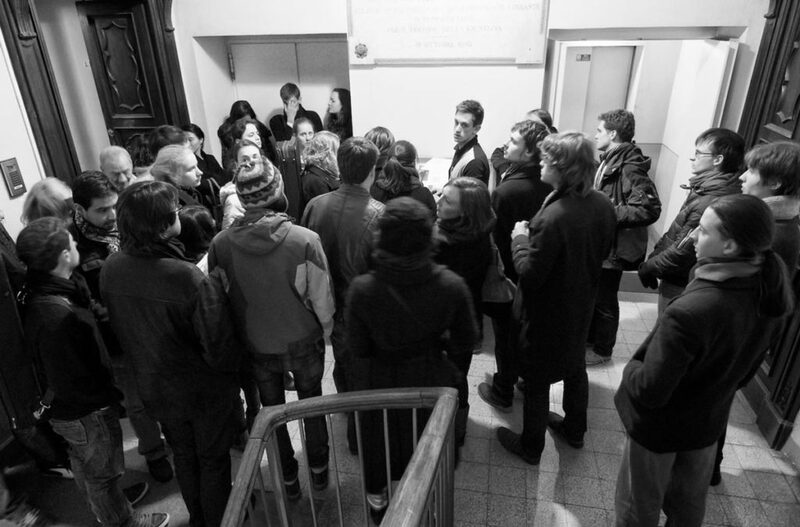 Initially held in November, the International Chamber Music Competition (piano and trio sections, reserved for competitors possessing a complex and consolidated repertoire), ran concurrently with another competition, the Rassegna Internazionale di Giovani Musicisti, dedicated to younger musicians (from 5 to 23, competing in different age groups). From 1997, in response to the growing demand from other kinds of chamber music ensembles to be allowed to take part in the Competition, we decided to expand the trio section to include other formats: we accepted duos, trios, quartets and quintets with piano, strings and clarinet, and, later, also string quartets and duos of piano four hands. 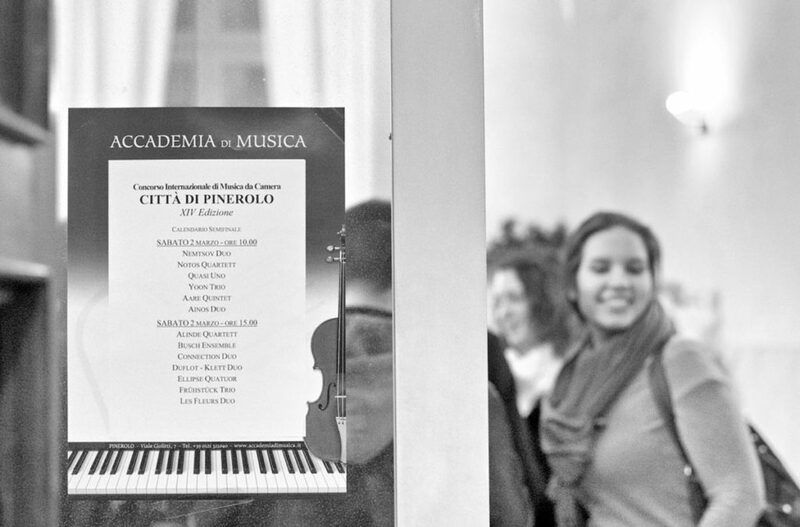 With the inauguration of the new premises of the Accademia di Musica in the former Cavalry Academy of Pinerolo on 14 October 2000, we were able to greatly increase the number of contestants in our competition (in both the chamber music and the piano sections) and to define in absolute terms the fundamental and essential values of the ICM. As a result of the international prestige of our juries and the uncompromising quality of their decisions, year after year we saw a rise in the musical ability of the participants. The contest took place in a tranquil and constructive environment, to which the families of Pinerolo contributed hugely, by opening up their homes to young musicians from all over the world, creating an atmosphere of personal support as they followed the performances of their guests, with a genuine emotional involvement that went far beyond the simple act of providing accommodation. On a city level this very personal engagement created interest in the event and contributed to an increased awareness of classical music among Pinerolo residents. The Music Competition consists of 3 rounds: an elimination round with a free programme, to which all competitors are admitted; a semifinal, where the 12 competitors admitted must choose several pieces from a set list; and a final, again with a set list of pieces the 5 competitors admitted must choose from. The final five contestants will be awarded money prizes, concert engagements, the Patrizia Cerutti Bresso special prize (for the best performance of the set pieces) and, since 2010, an Audience Award, decided by popular vote after the finalists’ concert. 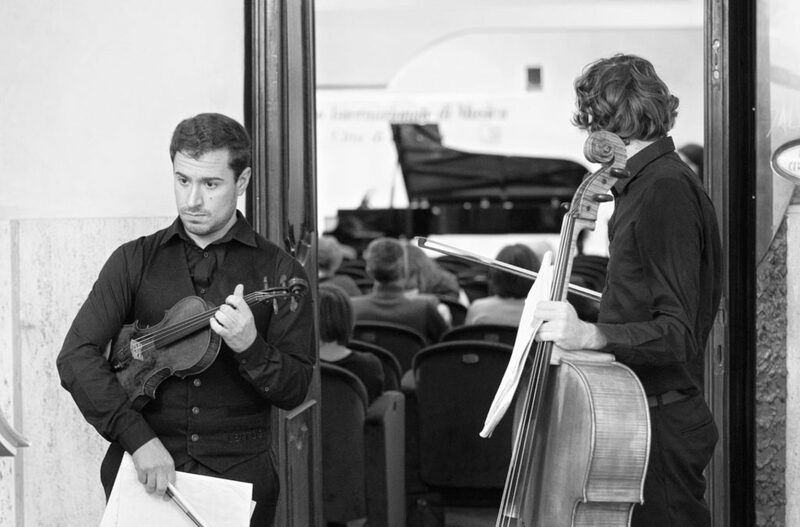 Participants in recent ICM Competitions have included young musicians from Italy, Albania, Argentina, Armenia, Australia, Austria, Azerbaijan, Belgium, Belarus, Brazil, Bulgaria, Canada, Chile, China, Korea, Croatia, Estonia, Ex-Yugoslavia, Finland, France, Georgia, Germany, Japan, Great Britain, Greece, India, Ireland, Israel, Kazakstan, Latvia, Lithuania, Malaysia, Moldova, Norway, the Netherlands, Poland, Portugal, Czech Republic, Rumania, Russia, Serbia, Siria, Slovakia, Spain, the USA, South Africa, Switzerland, Taiwan, Turkey, the Ukraine, Hungary, Uzbekistan, and Venezuela. In 2011 the “City of Pinerolo” International Chamber Music Competition became part of the World Federation of International Music Competitions in Geneva Since 2016 its prestigious showcase will more than ever before provide a stage for future talents of the music world, thanks to a new collaboration that will make this possible, a collaboration between the Cities of Pinerolo, of Torino and of its surrounding area.